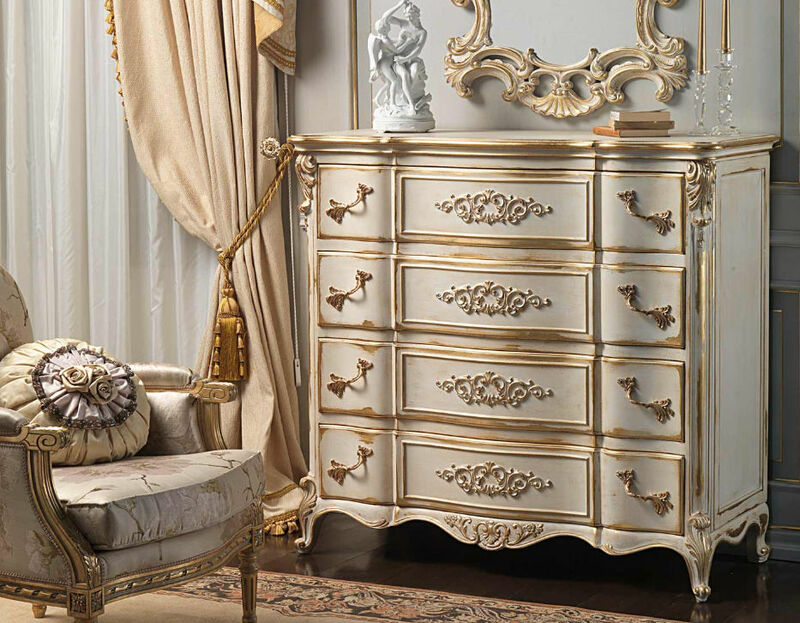 Regal atmospheres for the Louis XVI style bedroom. 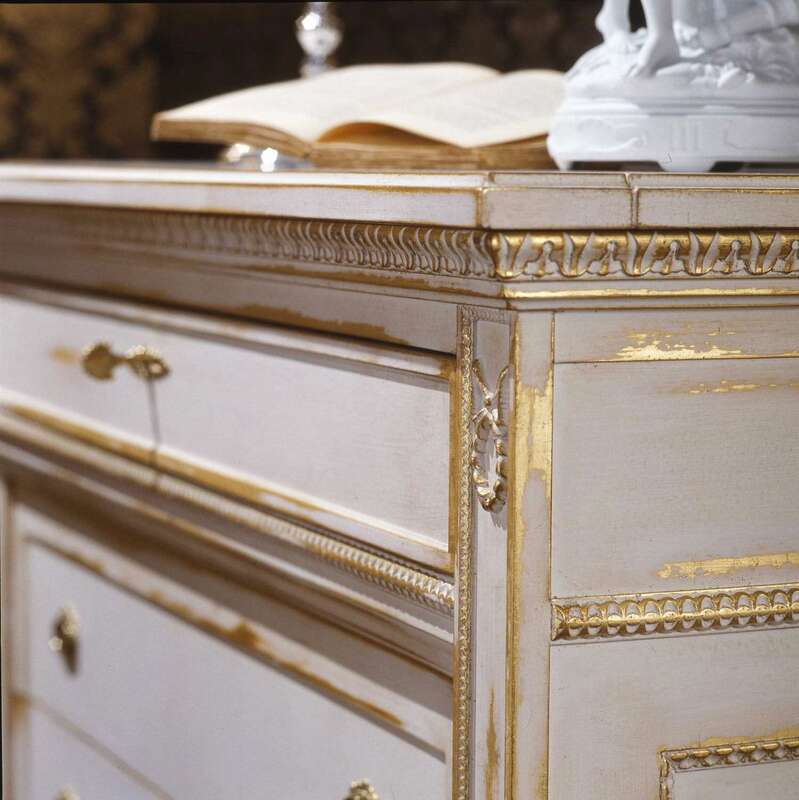 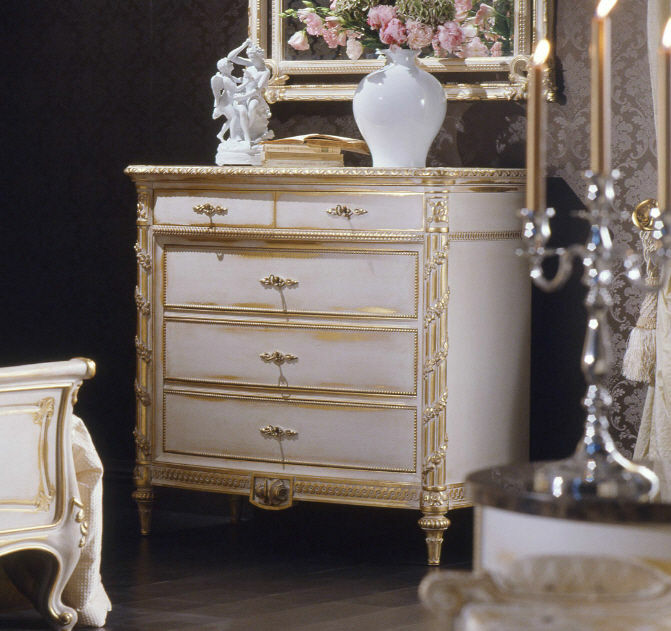 The finishing white over gold characterises the bed and all the furnishing components. 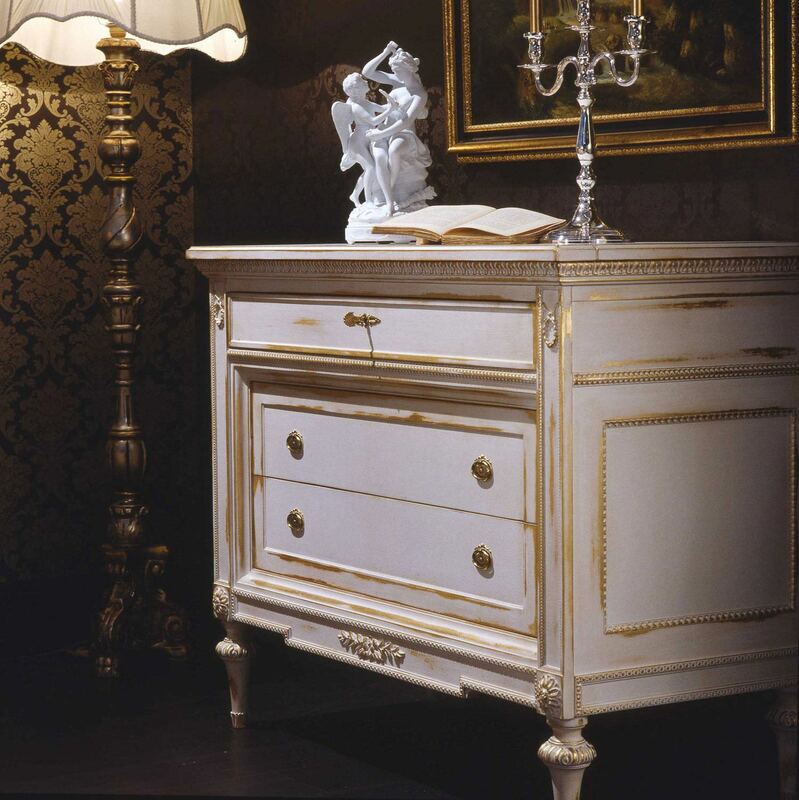 Particularly well-finished the carvings of the headboard, night tables and chest of drawers, executed by hand from expert artisans.